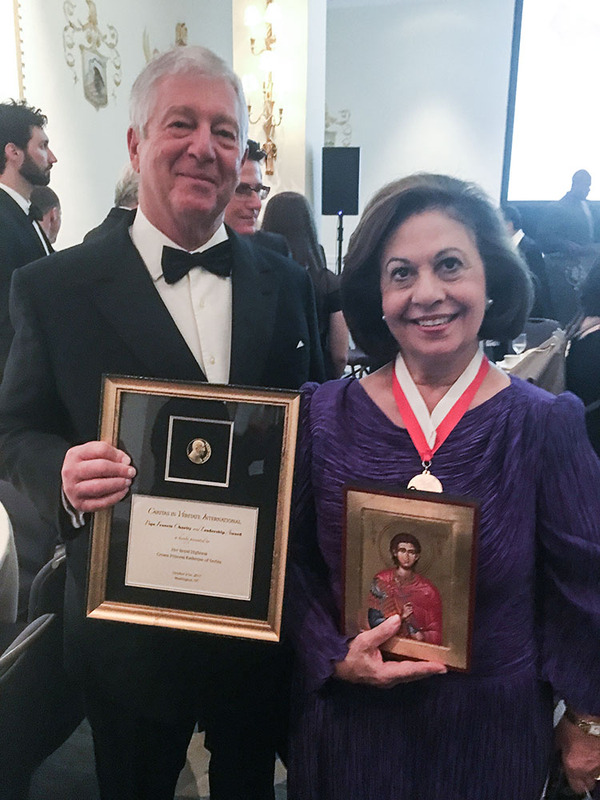 Washington DC, United States of America, 21 October 2017 – Their Royal Highnesses Crown Prince Alexander and Crown Princess Katherine were special guests at the “Caritas in Veritate International” award ceremony where HRH Crown Princess Katherine received the Pope Francis Award for Charity & Leadership. HRH Crown Princess Katherine has been making huge efforts for over 25 years to help Serbia and its people regardless of religion or ethnic origin, through the work of Princess Katherine Foundation in Belgrade as well as Lifeline Humanitarian Organizations in London, New York, Chicago, Toronto and Athens, whose patron she is. 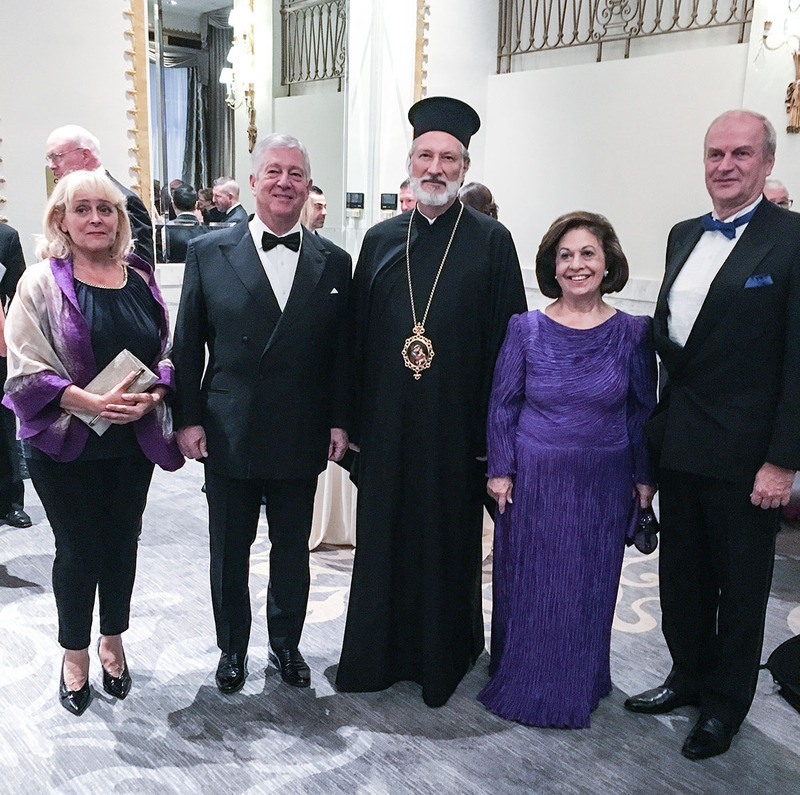 Their Royal Highnesses Crown Prince Alexander and Crown Princess Katherine were joined by His Grace the Right Reverend Irinej, Bishop of Serbian Orthodox Church Eastern America Diocese, Mr. and Mrs. 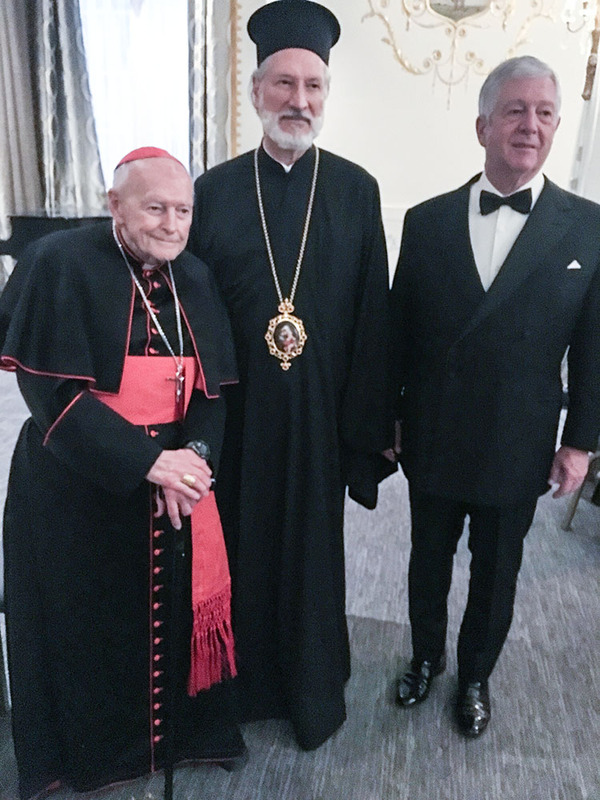 HE Djerdj Matkovic, ambassador of Serbia to the United States of America, Mr. Branko Terzic, the Royal Adjutant and a member of the Privy Council, and his wife Judy. 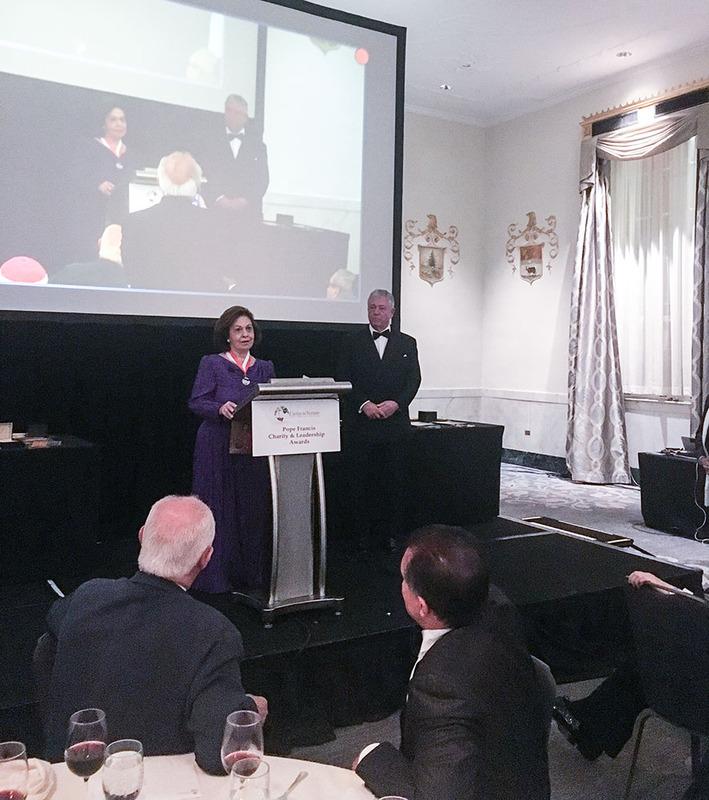 “I would like to thank Caritas in Veritate International and Mr. Henry Cappello, President and Executive Director, for the honor and for recognizing the great work and commitment of my Foundation. Since its establishment, my husband and I have done everything in our power to help Serbia and people regardless of religion or ethnic origin, we have achieved a lot, and this recognition confirms it. I am particularly proud of the last few months of my Foundation’s work,since the total value of medical equipment donations has reached over $ 1,730,000. We are continuing our efforts and our mission, because helping people and humanitarian work for me and my family are the meaning of life”, said Crown Princess Katherine in her address. Crown Princess Katherine’s charitable activities have been numerous, especially since the conflict in the former Yugoslavia. Her Royal Highness has brought much needed relief especially to children, the elderly and all those in need regardless of religion or ethnic origin, there are no borders in suffering. and Athens. At the beginning of August 2001 The Foundation of Her Royal Highnesses Crown Princess Katherine was established in Belgrade with the aim to continue and increase humanitarian activities. “Caritas in Veritate International” is a confederation of Roman Catholic institutions, dedicated to recruiting, forming, mobilizing and engaging young volunteers, to bring charity in truth, and human progress to all people.